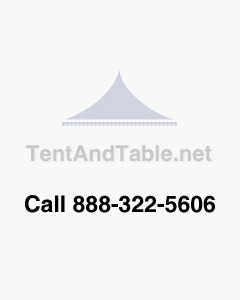 The 10' wide west coast frame tent tops are one of our most durable styles. This vinyl frame tent top is manufactured with our best quality 16-ounce block-out, flame resistant vinyl. All our seams are heat sealed and overlap by at least 1 inch. Your west coast frame top comes with a 7/32 inch sidewall hanging line that is held up by a 1-inch webbed strap and is installed approximately every 15 inches around the inside perimeter of the tent top. Safety: We manufacture all of our tents using a fire resistant vinyl that meets or exceeds the National Fire Protection Association fire resistant standards.